Brooks Barrow is now an Alabama guy. Having recently relocated to Montgomery from Winsconsin, Brooks brings with him an immense artistic talent as a stonemason and some special glacial stones dating back to the ice age. 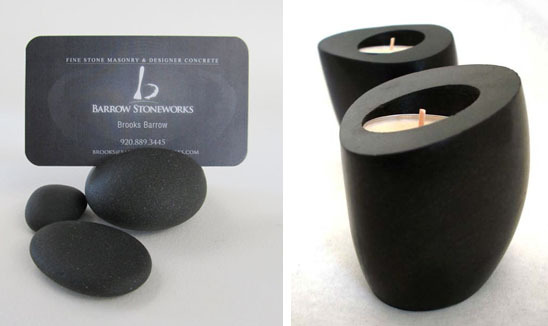 With a rich texture and smooth, durable nature, these black basalt glacial stones are perfect for carving. Brooks describes the black basalt as "a dense, hard stone similar to granite but with a more uniform grain." 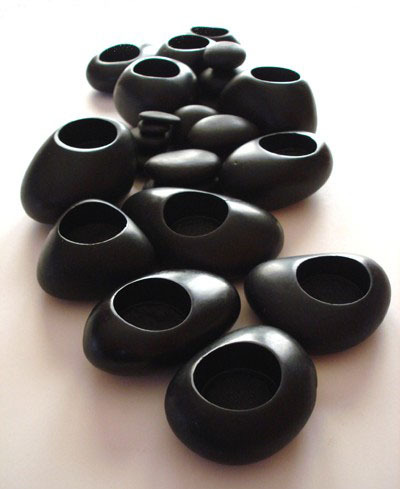 He offers these tealight candle holders in black granite or white marble as well. 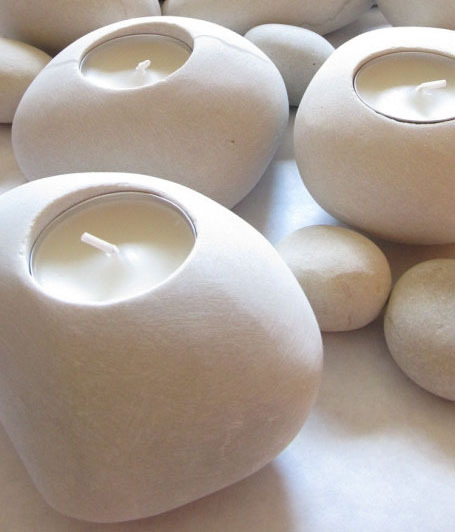 These pretty tealight candle holders are made of Dolomitic Limestone found in the Winsconsin base bedrock. These glacial bowls have been "patiently polished to a satin eggshell finish while preserving the natural form." Such gorgeous stones transformed into the loveliest home decor. Peruse Brooks entire site here.